Landing of the 33 Patriots – Uruguay – every day's a holiday! April 19 is the anniversary of the “Landing of the 33 Patriots” in Uruguay, also known as the Treinta y Tres Orientales, though it’s safe to say none of the 33 “Orientals” ever set foot in Asia. 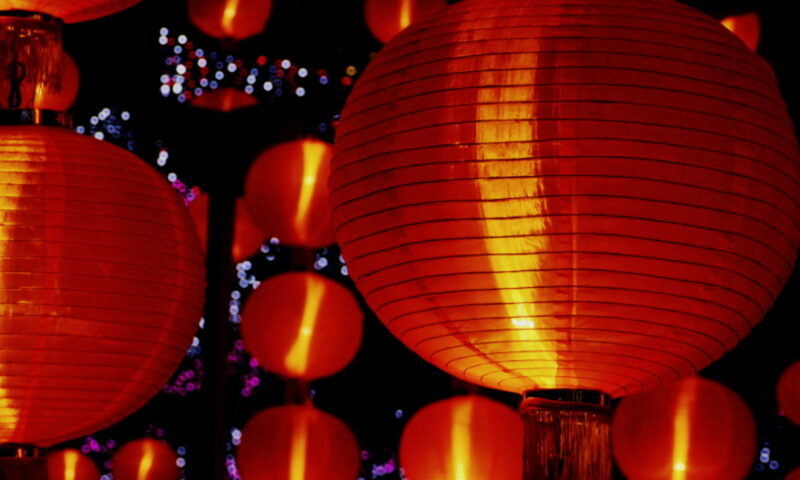 They were called ‘Orientales‘ because Uruguay was known as the Banda Oriental, or the “Eastern Bank” of the Rio de la Plata, the western shore being Argentina. 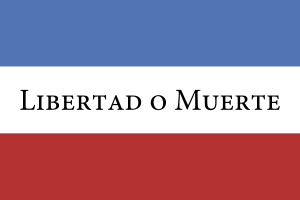 In a span of less than ten years—1807 to 1816—the Banda Oriental and its capital city of Montevideo were occupied by the English, retaken by the Spanish, and invaded by the Portuguese. In 1816 Portuguese Brazil took Banda Oriental from the north, ousting the province’s hero Jose Gervasio Artigas in 1820 and forcing him into exile in Paraguay. The Banda Oriental became a province of Brazil, which achieved independence from Portugal in 1822. In 1825 a group of exiled Uruguayan fighters called the 33 Orientals returned from Buenos Aires. 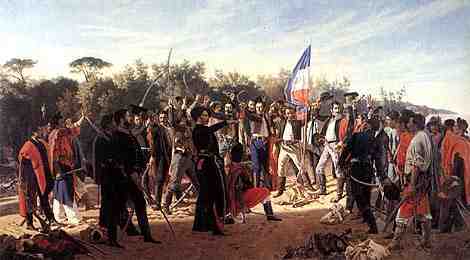 They were led by Juan Antonio Lavalleja, who had fought with the exiled Artigas. The 33 Orientals secretly crossed the Plata River, landing on the Eastern Bank on April 19. There they planted what would be known as the flag of the 33 Orientals and took an oath to kick the Brazilian government out of Uruguay. Four months later, on August 25, 1825, Uruguay officially declared its independence from Brazil. 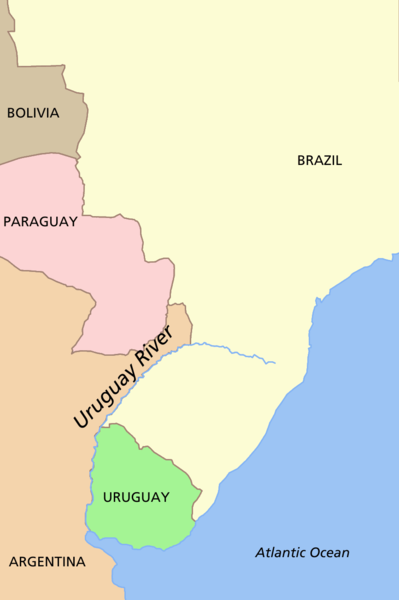 After 500 days of fighting (the Argentina-Brazil War), Brazil recognized Uruguay’s independence in 1828.